Home > Blog > Uncategorized > Sarah’s Small Business Success Story! Calling all Small Business Owners – this one’s for you! 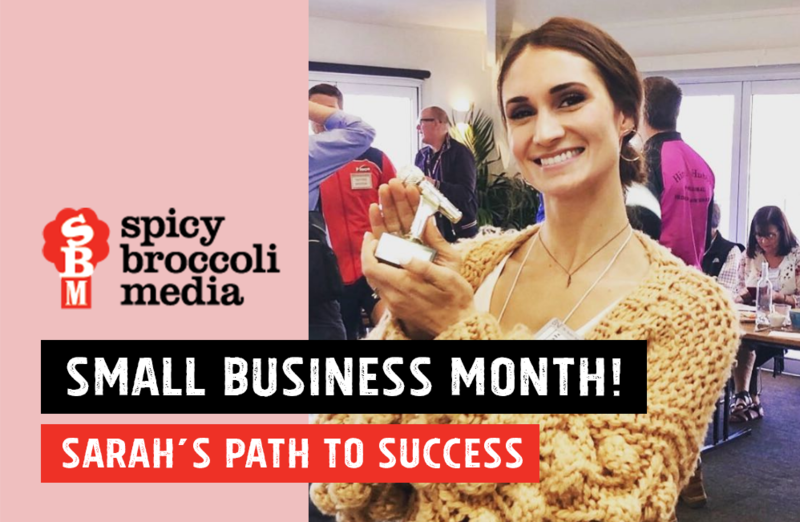 Spicy Broccoli is celebrating Small Business Month, where we’ll be sharing advice, tips, and our small business experience! According to the Small Business Association, 30% of new businesses fail within the first two years, and 50% during the next 5 years!?! That’s scary stuff! Opening a business is a huge risk, but it’s one that can massively pay off. So stick to your guns and ignore the haters… there is hope! So we here at Spicy headquarters decided it was time to impart some small business wisdom with you. We sat down with Spicy Founder and Creative Director, Sarah Taylor, to share some tips on how to run a successful small business …and last the distance! After coming to Australia from Washington D.C., Sarah started out at a big design company and ad agency, working on projects for Sony, Volvo, Westpac and Jaguar. Although it was good to get experience working within a big business, she found she struggled creatively. Spicy Broccoli Media grew from her frustration with bigger agencies, she “wanted to bring big brand experience to small businesses.” In fact, Spicy Broccoli started in her second bedroom in 2009, and has grown organically since then. Sarah created a spicy, new, innovative business that offers branding, graphic design, digital marketing, creating a localised network of small businesses over time. One the greatest achievements in her career to date. With all this and more under her belt, we thought who better to interview for Small Business Month? So we asked … what makes Spicy Broccoli stand out from the rest? Why is Spicy so trusted by small businesses for their marketing? Because we care! Spicy has a customer-first vision and attitude. By having a physical studio, people can interact face to face with the creators, building a trusting relationship and “open door policy.” Throughout the projects, the Spicy team set lots of milestone checkpoint approvals so the client is involved through the whole process. As we work with a wide variety of different businesses, we tailor our services to meet each client’s individual needs. Sarah and the Spicy team go to sleep at night knowing we’ve done right by our clients! Sarah also told us about all the positives that come with working with other small businesses: “You see your impact straight away.” Being able to get involved in growing other businesses is not only rewarding, but it’s a great opportunity to meet talented and hardworking individuals in so many different industries! Lastly, staying ahead of marketing and design trends? HOW?? Sarah and the team continually educate themselves on the latest trends and source their inspiration from TED Talks, podcasts, books and trend forecasting tools. Versatility and innovation are key when working with clients and staying on top of design trends. Spicy Broccoli is always taking a deep dive into our client’s target markets – figuring out the most effective ways to reach them and determining what makes them tick. At the end of the day, our client’s goals are also Sarah’s goals, and the Spicy team focus their time, knowledge and skills towards making them a reality. 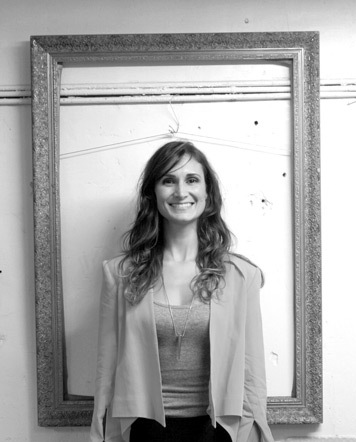 With each project, we draw from the creative vision Sarah conjured up in her spare bedroom in 2009. We add our design skills, marketing expertise and our Spicy Creative Flair™️ to everything we do, and that’s what makes us unique! And if you want some more insider tips from Sarah, stay tuned for our next Small Business blog post – coming soon! If you’d like the team at Spicy Broccoli Media to spice up your business, big or small, don’t hesitate to head over to our Contact Page, send us an email at info@spicybroccoli.com, or give us a call on +61 2 8084 5554!